Index continues moving upwards. It looks like after completing wave (2), price started growing up inside the third one. Probably, in the nearest future market may break previous maximum. I’ve got two buy orders; stop is already in the black. 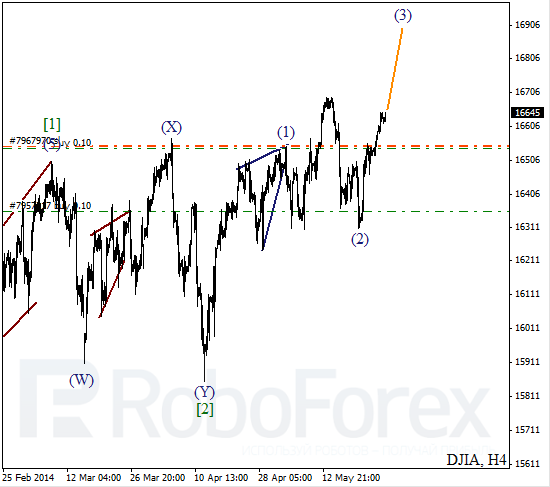 As we can see at the H1 chart, after finishing wave C, Index formed initial impulse inside wave 1. 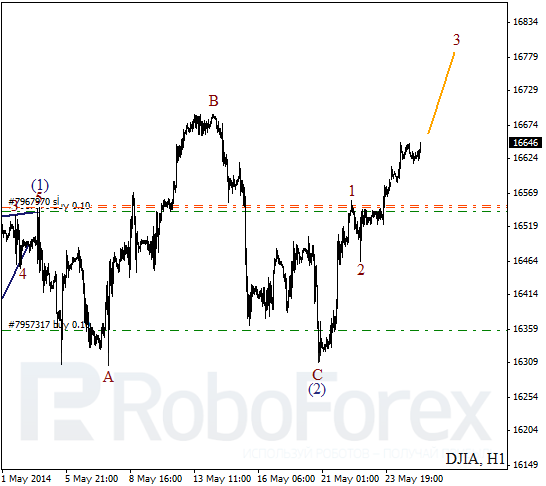 Later price completed short wave 2 and right now is moving upwards inside the third one. In the near term, market expected to continue moving upwards. I’m planning to increase my long position during corrections. It looks like Oil is about to complete wave 2. On minor wave level, price is finishing wave [C]. In the near term, market may move upwards a bit, but later it is expected to reverse and start forming initial descending impulse. More detailed wave structure is shown on H1 chart. 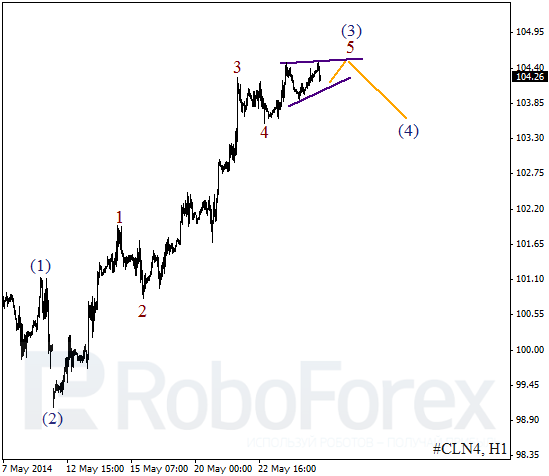 It looks like price finished the fifth wave inside wave (3) in the form of diagonal triangle pattern. 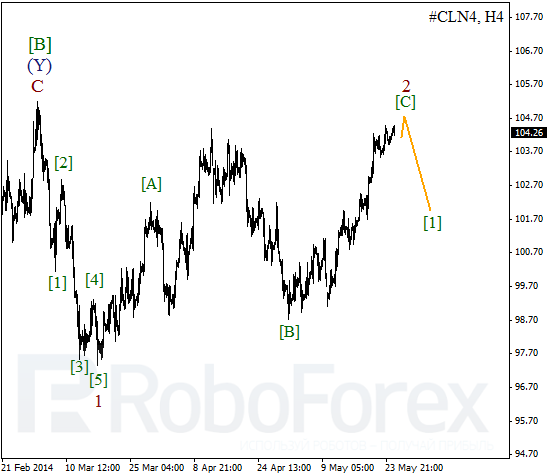 Most likely, Oil may start forming the fourth wave in the nearest future. Later instrument may make final ascending movement inside the fifth wave.